The Brix is a most fantastic venue!!! a very powerful spot for doing energy work! It is easy to get to, clean, warm and the space is AMAZING!!! We are on the 4th floor which used to be the famous Mass Club ~ a huge atmospheric room with tall ceilings in the upper part of the old church with plenty of room for our giant circles and space to dance, a big stage, cafe and chillout area with tables & chairs, padded bench seats and large comfy sofas ~ simply PERFECT!!! We started OneSpirit on the 2nd floor on Winter Solstice 2011 then continued doing weekly Thursday nights into 2012 whilst the Mass Club was operational at the weekends upstairs on the 4th floor (we could not do OneSpirit at the weekends whilst the Mass Club was there) ~ then behold ~ the Mass Club moved out on the very day of Spring Equinox 2012!!! We later moved into the old Mass Club on special day 12-12-12 followed by our Winter Solstice 2012 gathering!!! All very synchronised and magical ~ highlighting the importance of OneSpirit and providence of OneSpirit being at The Brix!!! All in all we are definitely meant to be at The Brix!!! The Brix is fast becoming a familiar regular Saturday night haunt for the OneSpirit OneLove tribe to meet, do powerful energy work, uplift and have FUN… and lots of it ! 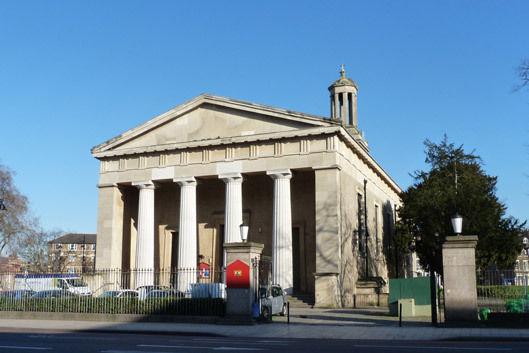 St. Matthews church is on the middle island where the road forks on Brixton high street & is very close to all forms of regular transport. The entrance to the Brix is opposite the Town Hall on Brixton Hill side, to the left after the restaurant down a few stairs. Or if you approach through the Peace Gardens the Brix entrance is straight in front of you.